We had our Christmas Party at a Stamp Club I belong to today. 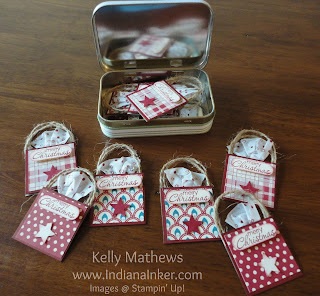 This year we decided to each decorate an Altoids tin and create a gift tag and exchange the tags. I didn't get pictures of the boxes, but these are the tags that I received in exchange.